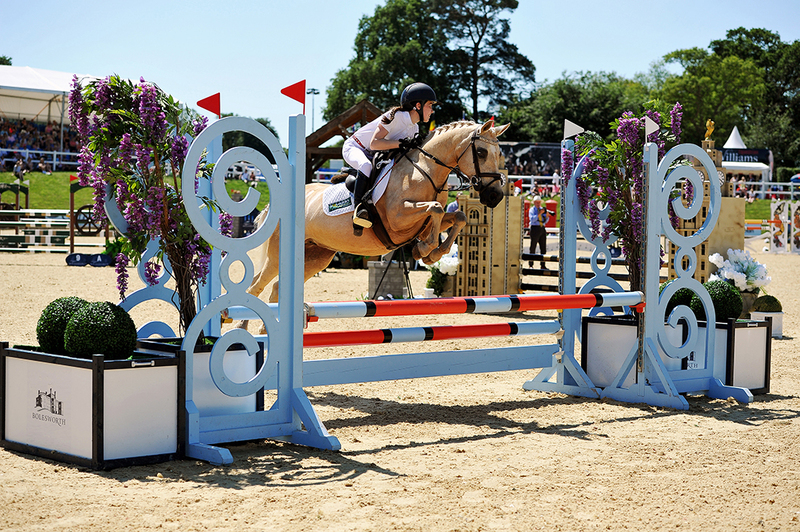 THIS year’s Liverpool International Horse Show will see the country’s leading young riders competing in the prestigious Equerry Horse Feeds Under 25 Championship. 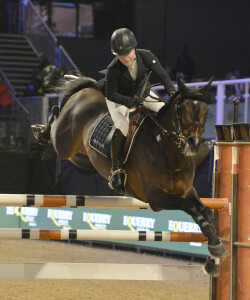 The action gets underway as part of the Friday Evening Performance, December 29 when competitors will tackle a course up to 1.45m. Last year’s winner Millie Allen set the class alight when winning what proved to be one of the show highlights. Liverpool International Horse Show President, Nina Barbour, said: “We are looking forward to a fantastic first night Evening Performance with the Equerry Horse Feeds Under 25 Championship. The range provides everything from High Fibre Cubes for horses and ponies at rest or in very light work to more conditioning options including Conditioning Cubes and Mix, a low starch ‘Non-Heating’ Conditioning Mash and a very palatable Veteran Mix. Liverpool International Horse Show takes place from December 29 to 31, at The Echo Arena on Liverpool’s iconic waterfront. 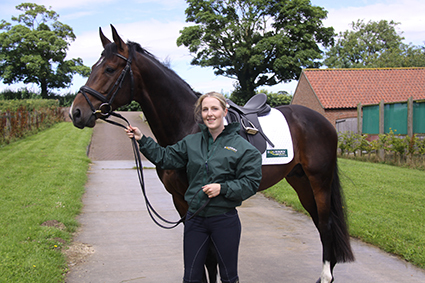 Dressage rider Georgie Bennett is the delighted winner of the Equerry Horse Feeds search for a new sponsored rider. Georgie runs a small dressage and livery yard in Lincolnshire and is also a freelance rider and trainer. She has evented at advanced level and also competes in advanced level dressage and was one of hundreds of riders to enter the national competition which proved massively popular. Georgie soon realised that once she began feeding horses on the Equerry range, their coats very quickly took on an amazing shine that simply got better and better, whether at home training or out competing. As the successful winner, Georgie was lucky enough to experience fantastic VIP hospitality at the Equerry sponsored Bolesworth International Horse Show for the exciting Equerry Grand Prix, together with winning a year’s supply of Equerry Horse Feed, an Equerry jacket, polo shirt and saddlecloth.